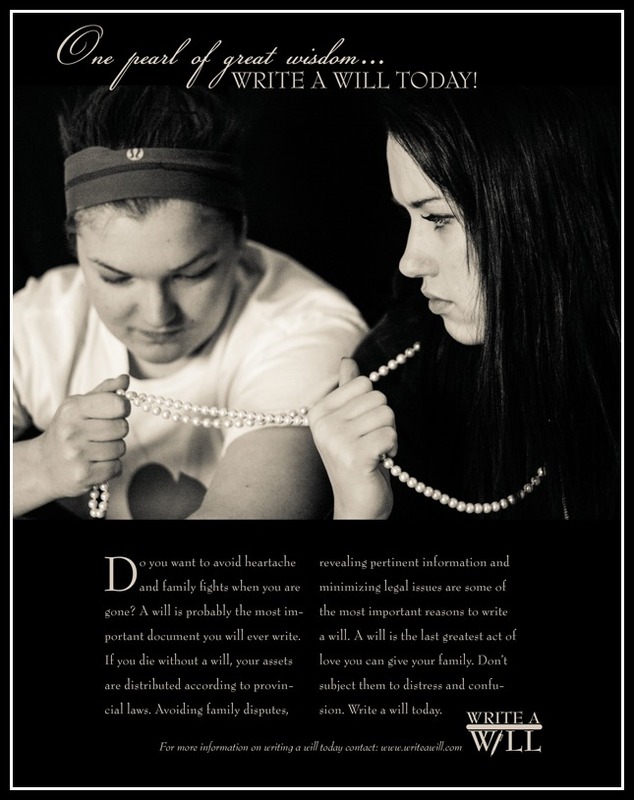 I designed this promotional advertisement to emphasize the importance of writing a will. This was designed using 3 different pictures and taglines to point out different aspects that should be thought of. They were also designed using colour, black and white and duotone. I was really happy with how they turned out.